Midland honored Jerry Reed and Burt Reynolds with a performance of "Eastbound and Down" during the 2018 CMA Awards! Watch it here! 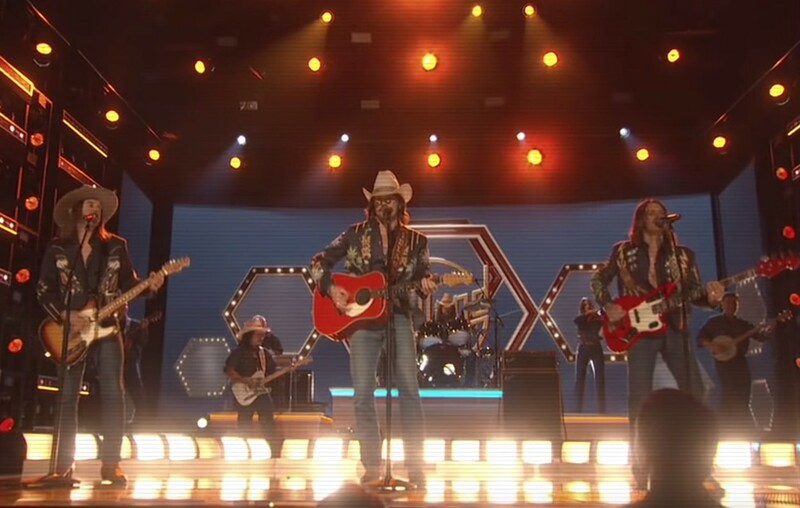 Country music trio Midland made their CMA Awards debut, honoring songwriter Jerry Reed and Hollywood legend Burt Reynolds with a performance of “East Bound and Down,” bringing their traditional country vibes, dance moves and personalities to the stage! Following this performance, Midland has released a studio version of the cover! “Eastbound & Down is a balls to the wall, honky tonk, fast tempo tornado of a song that was a great challenge to master and to make some tweaks to make it our own…It’s now one of our favorite songs to perform live and we can only hope that The Guitar Man [Jerry Reed] is smiling somewhere up above with approval,” Midland shares. Share this performance with other country music fans!